The Headland Area Chamber of Commerce is a voluntary organization of the business community. It brings businesses, professional individuals and firms together, thus creating a centralized group with a purpose of improving business and building a better community. The Chamber is as strong as it members although these are predominantly the members of the business community, there is a place in the Chamber for all who share the desire to improve the community. The Members of the Headland Area Chamber of Commerce are the backbone of the organization and make up the pool of resources from which ideas, growth and financial support are drawn. 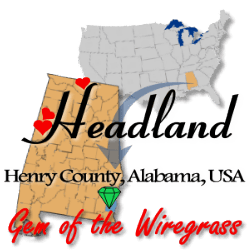 Its members are small businesses, citizens of the community and professional men and women all working to ensure continued economic growth in the Headland, AL area. The Chamber organizes and directs its resources in order to improve its community through fostering growth of its local businesses. The Headland Area Chamber enables its members to accomplish collectively what none of them could do individually. The strength of the organization lies in attracting the greatest number of individuals creating a pool of resources from which can be drawn ideas, energy and finances. The major responsibility of a Headland Area Chamber of Commerce is to ensure that the community bussineses prosper. It works to increase wealth and prosperity by facilitating the growth of existing businesses and fostering new ones. The Chamber is NOT a government agency. The organization does not receive any federal, state, county or city funding. The governing body of the Headland Area Chamber is its Board of Directors. From small business owners to local citizens the 12 member board represents a cross-section of the Chamber's membership. The Board’s function is to determine policy for the organization. The Board is also responsible for the organization’s finances, considers and approves the budget and determines the appropriate membership investment schedule. The Chamber also employs a executive secretary which manages the day-to-day functions of the organization including planning and hosting special events, publishing the Chamber's newsletter and maintaing the Chambers Website. The Chamber performs many functions to foster the growth of the business community. Entrepreneurs and small businesspeople are the foundation of the economy. The Chamber recognizes the role of these individuals contibutions to the the local economy and continues to work to be their advocate at all levels of government. We will continue to provide and improve the networking and knowledge-building events and programs that meet their specific and unique needs. It is important to us that our members have the tools nessasry in achive success when doing business in the local community. The Chamber also supports its members by referring them to potential customers. Many visitors and newcomers to the area contact the Chamber to find out where to get their oil changed, where to bank, where to eat, etc. The Chamber only refers its members to these inquries. Currently the Headland Area Chamber publishes a membership directory online and is promoted to visitors along with anyone seeking information about businesses in Headland. The membership directory is available by clicking here. 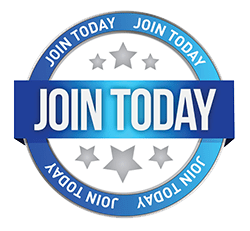 Considering the many benefits your Chamber membership provides you and your company, joining the organization is extremely affordable. A small business with fewer than 5 employees can join the Chamber for only $50 per year. Membership dues increase incrementally for larger businesses. Click here for more informationon joining the Chamber.